One of the objectives of LoopBack 4 is to promote extensibility to grow the ecosystem. Some of the popular extensions voted by the LoopBack community are authorization support, support of other protocols (e.g. gRPC, MQTT) and other API styles (e.g. GraphQL, XML). As we’re wrapping up on the LoopBack4 Core Beta release, we’d like to call for your contribution to develop extensions with us. One of our LB project maintainers will be assigned to you to walk you through the whole journey of creating an extension from the beginning till the end. We’ll broadcast your work in our web site and social media! Ready to contribute, or just get more info? Click here to go to the Github repo. 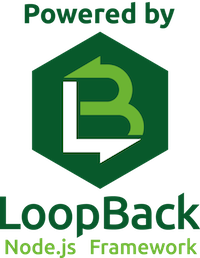 For more information about LoopBack 4, please refer to this document.